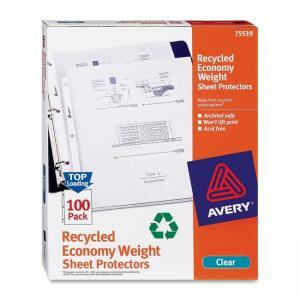 Economy-weight sheet protectors are designed for lightweight use. Nonstick polypropylene won't lift print off inserts and is acid-free and archival-safe. Letter-size inserts can be easily inserted from top. Design features a three-hole punched edge so you can avoid punching holes into your important documents. A reinforced binding edge anchors the protector in your three-ring binder and resists tearing on the rings. 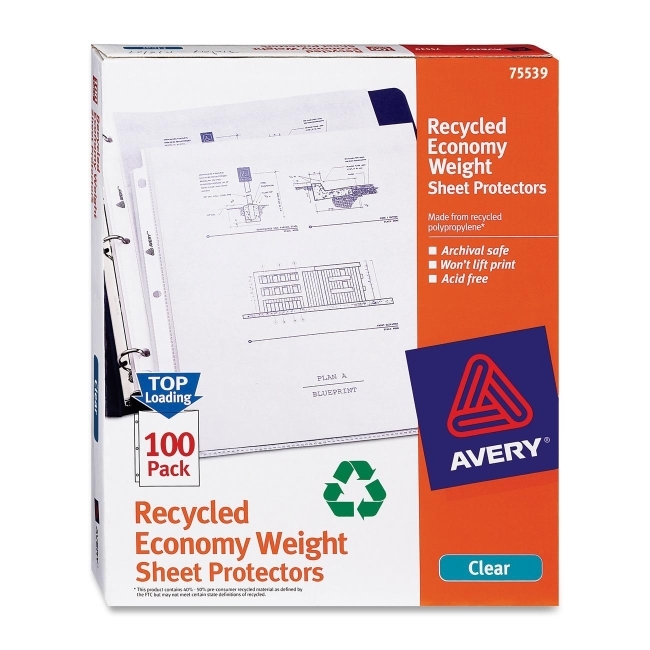 Sheet protectors contain at least 40 percent recycled material.